Determines what moves a foe has. The Pokémon is protected from flinching. X It carries a pendulum-like device. There once was an incident in which it took away a child it hypnotized. X Es trägt ein Pendel. Man berichtet von einem Vorfall, bei dem es ein Kind mitnahm, das es zuvor hypnotisiert hatte. X Il transporte toujours un petit pendule. On raconte qu’il aurait un jour enlevé un enfant après l’avoir hypnotisé. X Lleva un péndulo en la mano. Una vez, hizo desaparecer a un niño al que había hipnotizado. X Ha con sé una sorta di pendolo. Una volta, per errore, si è portato via un bambino che aveva ipnotizzato. X 추 같은 것을 들고 다닌다. 어린아이에게 최면술을 걸어 어딘가로 데려가 버린 사건이 있었다. Y Seeing its swinging pendulum can induce sleep in three seconds, even in someone who just woke up. Y Ein Blick auf das Pendel versetzt einen in drei Sekunden in Schlaf, selbst wenn man gar nicht müde ist. Y La vue de son pendule oscillant endort en trois secondes, même quand on vient de se réveiller. Y Mirar su péndulo puede inducir al sueño en tres segundos, incluso si acabas de despertarte. Y Con il suo pendolo fa addormentare chiunque nel giro di 3 secondi, anche chi si è appena svegliato. Y 눈앞에서 추를 흔들면 방금 깨어난 사람도 3초 후에는 잠들어 버린다. Omega Ruby Hypno holds a pendulum in its hand. The arcing movement and glitter of the pendulum lull the foe into a deep state of hypnosis. While this Pokémon searches for prey, it polishes the pendulum. Omega Ruby Hypno hält ein Pendel in der Hand. Das Schwingen und Glitzern des Pendels versetzt seine Feinde in eine tiefe Hypnose. Während dieses Pokémon auf der Suche nach Beute ist, poliert es sein Pendel. Omega Ruby Hypnomade tient un pendule dans sa main. Le mouvement de balancier et les reflets brillants du pendule hypnotisent profondément son ennemi. Lorsque ce Pokémon cherche ses proies, il nettoie son pendule. Omega Ruby Hypno lleva un péndulo en la mano. El balanceo y el brillo que tiene sumen al rival en un estado de hipnosis profundo. Mientras busca a su presa, saca brillo al péndulo. Omega Ruby Hypno tiene in mano un pendolo. Il movimento oscillatorio e i riflessi del pendolo fanno cadere l’avversario in un profondo stato d’ipnosi. Cercando la preda il Pokémon si prepara lucidando il pendolo. Omega Ruby 손에 쥐고 있는 추의 움직임과 반짝임이 상대를 깊은 최면 상태에 빠트린다. 먹이를 찾으며 추를 손질하고 있다. 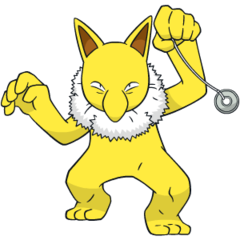 Alpha Sapphire Hypno holds a pendulum in its hand. The arcing movement and glitter of the pendulum lull the foe into a deep state of hypnosis. While this Pokémon searches for prey, it polishes the pendulum. Alpha Sapphire Hypno hält ein Pendel in der Hand. Das Schwingen und Glitzern des Pendels versetzt seine Feinde in eine tiefe Hypnose. Während dieses Pokémon auf der Suche nach Beute ist, poliert es sein Pendel. Alpha Sapphire Hypnomade tient un pendule dans sa main. Le mouvement de balancier et les reflets brillants du pendule hypnotisent profondément son ennemi. Lorsque ce Pokémon cherche ses proies, il nettoie son pendule. Alpha Sapphire Hypno lleva un péndulo en la mano. El balanceo y el brillo que tiene sumen al rival en un estado de hipnosis profundo. Mientras busca a su presa, saca brillo al péndulo. 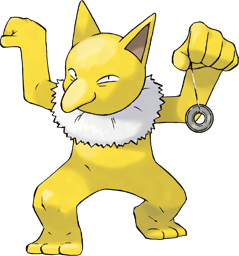 Alpha Sapphire Hypno tiene in mano un pendolo. Il movimento oscillatorio e i riflessi del pendolo fanno cadere l’avversario in un profondo stato d’ipnosi. Cercando la preda il Pokémon si prepara lucidando il pendolo. Alpha Sapphire 손에 쥐고 있는 추의 움직임과 반짝임이 상대를 깊은 최면 상태에 빠트린다. 먹이를 찾으며 추를 손질하고 있다. Sun While it is an extremely dangerous Pokémon, people who are in need of a good, sound sleep call it their savior. Moon As a matter of course, it makes anyone it meets fall asleep and has a taste of their dreams. Anyone having a good dream, it carries off. Red When it locks eyes with the enemy, it will use a mix of Psi moves such as Hypnosis and Confusion. Blue When it locks eyes with the enemy, it will use a mix of Psi moves such as Hypnosis and Confusion. Yellow Avoid eye contact if you come across one. It will try to put you to sleep by using its pendulum. Stadium If you lock eyes with it, it will try to hypnotize you. It is best to close your eyes quickly before you get hypnotized. Gold When it is very hungry, it puts humans it meets to sleep, then it feasts on their dreams. Silver Always holding a pendulum that it rocks at a steady rhythm, it causes drowsiness in anyone nearby. Stadium2 When it is very hungry, it puts humans it meets to sleep, then it feasts on their dreams. Ruby Hypno holds a pendulum in its hand. The arcing movement and flitter of the pendulum lull the foe into a deep state of hypnosis. While this Pokemon searches for prey, it polishes the pendulum. Sapphire HYPNO holds a pendulum in its hand. The arcing movement and glitter of the pendulum lull the foe into a deep state of hypnosis. While this POKeMON searches for prey, it polishes the pendulum. FireRed It carries a pendulum-like device. There once was an incident in which it took away a child it hypnotized. LeafGreen When it locks eyes with an enemy, it will use a mix of PSI moves such as HYPNOSIS and CONFUSION. Emerald The arcing movement and glitter of the pendulum in a HYPNO's hand lull the foe into deep hypnosis. While searching for prey, it polishes the pendulum. Diamond Seeing its swinging pendulum can induce sleep in three seconds, even in someone who just woke up. Pearl Seeing its swinging pendulum can induce sleep in three seconds, even in someone who just woke up. Platinum Seeing its swinging pendulum can induce sleep in three seconds, even in someone who just woke up. HeartGold When it is very hungry, it puts humans it meets to sleep, then it feasts on their dreams. SoulSilver Always holding a pendulum that it swings at a steady rhythm, it causes drowsiness in anyone nearby. Black Seeing its swinging pendulum can induce sleep in three seconds, even in someone who just woke up. White Seeing its swinging pendulum can induce sleep in three seconds, even in someone who just woke up. Black 2 Seeing its swinging pendulum can induce sleep in three seconds, even in someone who just woke up. White 2 Seeing its swinging pendulum can induce sleep in three seconds, even in someone who just woke up.